OmicSoft, now a QIAGEN company, would like to invite you to our annual Omicsoft User Group Meeting being held in Cambridge, MA on September 19-20, 2017. FREE registration and attendance, limited time only. For registration and more details, please directly go to our UGM page. In the past ten years, OmicSoft has helped numerous users from major pharma and biotech companies (as well as research institutions) accelerate their bioinformatics and genomics research (who are our customers?). Last year, OmicSoft successfully held our kick-off OmicSoft User Group Meeting. More than 30 leading pharmaceutical and biotech companies, more than 100 experts and scientists in the field of bioinformatics/genomics/genetics attended the meeting. Learn, network, impact. Come join us and leading pharma, biotech companies and research institutions. Please contact us for potential presentation and collaboration opportunities. OmicSoft, now a QIAGEN company, is excited to announce Array Suite 10.0, the ten year anniversary release to its flagship software product. 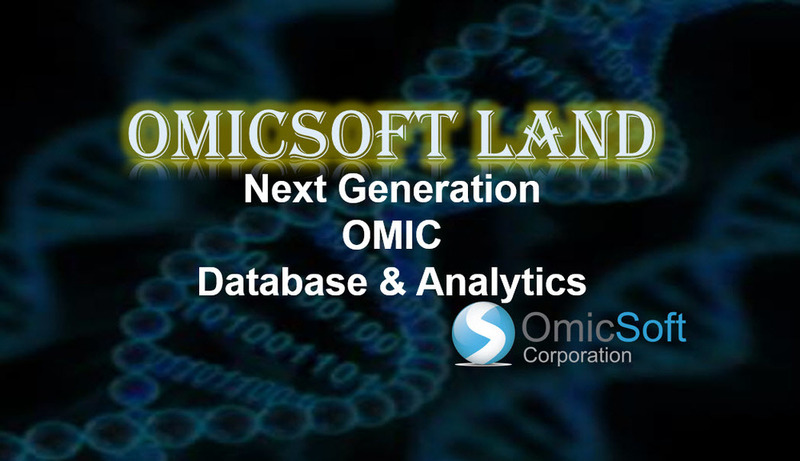 Array Suite provides the backbone of OmicSoft's software and data service offerings, including OncoLand, DiseaseLand and GeneticsLand. In the past ten years, Array Suite has helped numerous users from major pharma and biotech companies (as well as research instutitions) accelerate their bioinformatics and genomics research. Founded in 2007, OmicSoft had a vision to focus on biomarker data management, visualization, and analysis. Array Suite (Array Studio and Array Server) differs from standard desktop solutions or open source solutions, with Array Studio providing the graphical user interface for NGS and OMIC analysis and visualization and Array Server providing the enterprise back-end solution for pipelines, project management, sample/file management, data storage and OMIC data warehouse (Land database). In January 2017, QIAGEN enhanced its portfolio with the acquisition of OmicSoft, allowing us to imagine new possibilities for integration with the larger QIAGEN bioinformatics portfolio. We will update everyone on these enhancements, and how they will benefit our users, in the near future. OmicSoft is extremely proud of it's customer-centric product development and customer support, and we look to continue this into the future, as we have for the past 10 years. With our latest update, this trend continues. Array Suite 10.0 includes revolutionary updates, with multiple technology breakthroughs including: Cloud-Based Lands, Single Cell RNA-Seq support, ENCODE integration and many other updates to both analytics and framework. For more details, please join our webinar, Omicsoft Array Suite 10.0 Release on May 3rd, 2017. Jack Liu from Omicsoft will present to you the top ten new features and more. Register here. We are excited to announce that as of January 9, 2017, QIAGEN has acquired OmicSoft, bringing OmicSoft into the larger QIAGEN Bioinformatics organization. QIAGEN is committed to providing you with the best Sample to Insight solutions in the world. The addition of the OmicSoft portfolio to QIAGEN will enable us to offer you the most comprehensive, integrated commercial bioinformatics solution. Through the efforts of our expanded team, we look forward to helping you gain even more valuable insights. Your channels for ordering and support of OmicSoft products will remain the same for now. This includes OmicSoft’s phone numbers, e-mail addresses and website. You can continue to place your OmicSoft orders and make related product inquiries as you have done before. Please also note that any other QIAGEN-related product questions should continue to be directed to your current QIAGEN contact. You are a valued customer, and we will notify you in advance of any changes to the ordering or support processes as we work to enable distribution of OmicSoft products through QIAGEN channels. If you have any questions, please do not hesitate to contact your QIAGEN and OmicSoft sales representatives. Omicsoft is excited to announce it’s latest Land updates, including OncoLand and DiseaseLand. DiseaseLand now includes over 67,000 human samples, with 3239 comparison from 1000+ projects and almost 21,000 mouse samples, with 2,248 comparisons from over 650 projects. Incorporation with the recently introduced Gene Set Analysis module provides extra value to the release, as we now allow users to query against all of the new Land data as well. Matt Newman, VP of Business Development, will spend 45 minutes on December 12th, at 11:00 am EST, to give an overview of all the new datasets and visualizations that are included with this latest release. Please register here. We will contact users about this release update shortly after our webinar. Please stay tuned. We've reached the time for our OncoLand Quarterly Update, and we're excited about what we have to tell you about! In our Q1 2016 release following our kick-off User Group Meeting, we had a major update to the Lands including CCLE_B37, CGCI_B37, , Hematology_B37, ICGC_B37, OncoGEO_B37, TARGET_B37, TCGA_B37, and TumorMutation_B37, and the addition of two new lands, ClinicalOutcome_B37 and expO_B37. In the Q2 update, we provided update for Hematology_B37, ICGC_B37, TCGA_B37 and OncoGEO_B37. Here is the sample statistics for updated Lands. For details, please refer to OncoLand 2016 Q2 Release Whitepaper. Most users should have already been contacted about this release update, and if not, we will work with you to update your servers in the near future. Omicsoft has always been proud of our fast and best-in-class customer support. We are highly customer-driven about our product development and support service, and we encourage users to be actively in touch with us for any request, question or problem. In this blog, we would like to briefly introduce all our support services and encourage you to fully utilize our support for your benefit. As a beginner, we encourage you to start with our comprehensive tutorials that cover each part of our functions or products. Start with the part that you are most interested in or is most relevant to you and take it from there. As we adopt feature-on-demand and agile product development strategy to ensure product quality, we constantly update and improve our functionality and data content. If you find the latest software does not perform or display exactly same way as it is described in tutorials, please feel free to email our support team about your questions (and hopefully we'll get it fixed or update our documentation). As you get more familiar with our software, our wiki is a great resource to address any detailed questions. We provide rich content that our scientists have been working on for years to address all product and research related questions, knowledge, best practice and so forth. For a specific question, the best way is to start from the search box. For example, if you would like to explore RNA-seq related content, simply search RNA-Seq. Omicsoft Wiki Search Box and search results for RNA seq. While using our software, you may have urgent questions or things may not work for some reason, so please feel to contact our support team. At Omicsoft, we aim to provide fast and detailed support to every single user. The best way to get your problem solved is to email our support team. We guarantee to get back to you within hours during office hours or the next business day for off office hour emails. If the question is urgent, we offer one-to-one online meetings. Please follow the instructions on the website to contact us. In summary, Omicsoft provides beginner tutorials and videos, powerful wiki search, and fast one-to-one support to ensure best support service. Be sure to keep in touch with us and wish you the best with your research projects! Call for attention: Omicsoft Corporation would like to invite you to our first annual Omicsoft User Group Meeting being held in Cambridge, MA on Wednesday May 4, 2016. FREE registration and attendance, limited time only. Omicsoft is committed to providing best-in-class products and services that facilitate users in biomarker data management, visualization, and analysis. We believe customer demand has a huge impact on our product design and services. To better understand user needs and questions, and better help users network and learn from each other, we are organizing our first User Group Meeting as the first attempt in building a long-term open network platform. Please check out our Press Release. For registration and more details, please directly go to our UGM page. Learn, network, impact. Come join us and 20 more already committed companies from our customer base (who are our customers?). 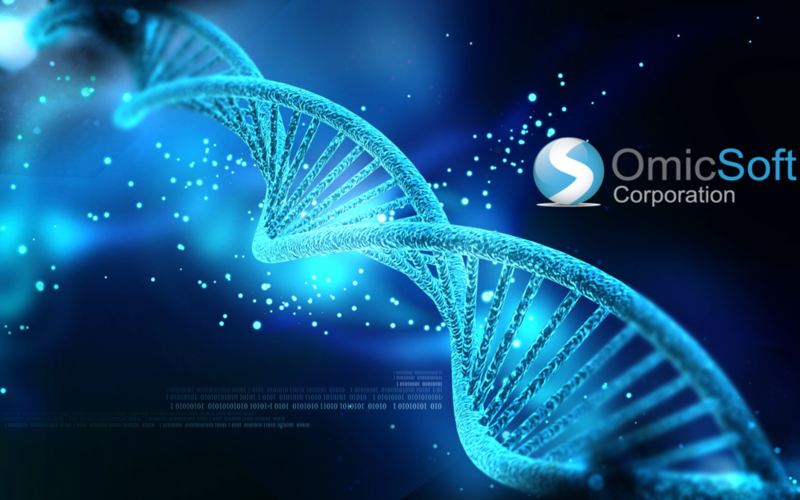 Omicsoft Corporation provides a data service and oncology database platform, OncoLand, that focuses on management of both public and customer cancer datasets, including clinical, next generation sequencing, gene expression, copy number, protein, and methylation data. Along with the OncoLand release, Omicsoft is pleased to introduce the next release of ImmunoLand. ImmunoLand incorporates public immunology data in disease areas including Arthritis, Asthma, COPD, IBD (Ulcerative Colitis, Crohn’s diseases), Lupus, Psoriasis and other skin diseases, Infectious diseases and vaccine, and Neuroimmuno-diseases (multiple sclerosis and more). For new users, please contact sales@omicsoft.com for a free trial and consultation. For existing user, please contact support@omicsoft.com for more details. As many of you may know, we have kept a somewhat low profile in the marketing and social networking world in the past. While we have a Twitter account (http://www.twitter.com/Omicsoft) and a Facebook account (http://www.facebook.com/Omicsoft), we have not utilized them as much as I would like. I am hoping to change that in the near future, and so I'd ask that you Follow Us on Facebook and Twitter and help us spread our presence. In addition, we're turning on comments on our blogs, which are being updated more frequently in the past, so feel free to use this as a way to communicate with us and each other as well. On Twitter (and Facebook), feel free to post questions to issues, feature requests, and more. We'll interact directly with you there (but of course you always have support@omicsoft.com). Thanks, and I look forward to interacting with more of you directly!